Just as core business functions have evolved, the way consumers interact with businesses has changed dramatically. Customer interactions are no longer about just a sales transaction. Consumers want valuable relationships with their brands, a connection that goes beyond the value of a product or service, explains Mohan Sawhney, clinical professor of marketing and McCormick Foundation Chair of Technology at the Kellogg School. Businesses looking to better engage their customers, need to actively create campaigns and programs that appeal to customer needs and desired outcomes. 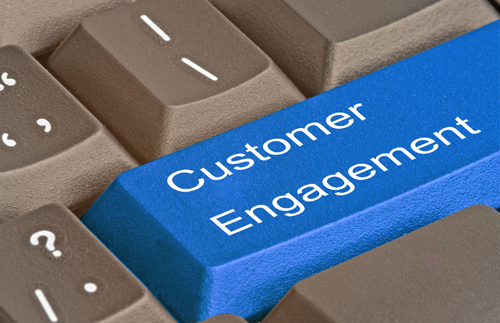 So - how can you improve your engagement levels in the modern business world? Understanding your audience is the crucial first step to engaging customers. According to Harvard Business Review (HBR), this kind of people-centric focus hinges on three main elements: culture, community and credibility. Culture: Relates to societal factors. How does your audience communicate? What kind of outlook do they have? What is the current cultural climate? Where do they fit within this space? Community: Focuses on stakeholders. Some of your customers may have different needs. How do you communicate with different demographics? How do you ensure engagement attempts hit the mark for all of them? When you understand how to relate to your customers based on these elements, you can actively build trust and establish a foundation for genuine engagement. Customers are less likely to interact with a company that does not have these core pillars of understanding in place. Modern marketing needs to offer offer value. Sawhney explains that marketing current content must be genuinely useful on some level. Let everybody in your business know that customer experience is their responsibility. One of the biggest mistakes companies made in the engagement arena was trying to separate customer experience into its own box, explained HBR. In reality, customer experience extends to every corner of an organization. The way your business works should be centered around the effective engagement of your audience. This isn't something delegated to your marketing department or even a customer service team - it has a much wider reach. Communicate this to your entire team. Let everybody in your business know that customer experience is their responsibility. Empower people to act. Show them how to best interact with clients. HBR argues that a central part of effective engagement stems from choosing the right tools to drive these interactions. The end goal here is to promote customer action through three things: context, catalysts and currencies. Context is all about delivering ‘the right offer to the right person at the right time,’ according to HBR. This involves factors such as location, timing, platforms etc. Currencies are all about encouraging behaviors through a tangible value. This takes the form of cash rewards, discounts etc. but can also include non-monetary measures like loyalty points or general customer recognition. Having the right drivers in place allows you to maximize your customer engagement levels through strategic moves. The culmination of these three factors is what makes for sustained engagement levels. Engagement is something every business struggles to master. However, these steps are a great starting point. If you're looking to learn more about how to keep your customers engaged with a variety of incentives and rewards, talk to the Incentive Marketing Association today.